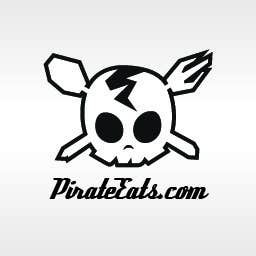 Design a Logo for "Pirate" themed food blog. Argggh! Incorporating skull (representing pirate) and fork/spoon. Has potential as a unique Jolly Roger skull and cross bones, but I'm looking for something that has a smoother illustration and more upbeat / cartoonlike. Thanks for the contribution though!